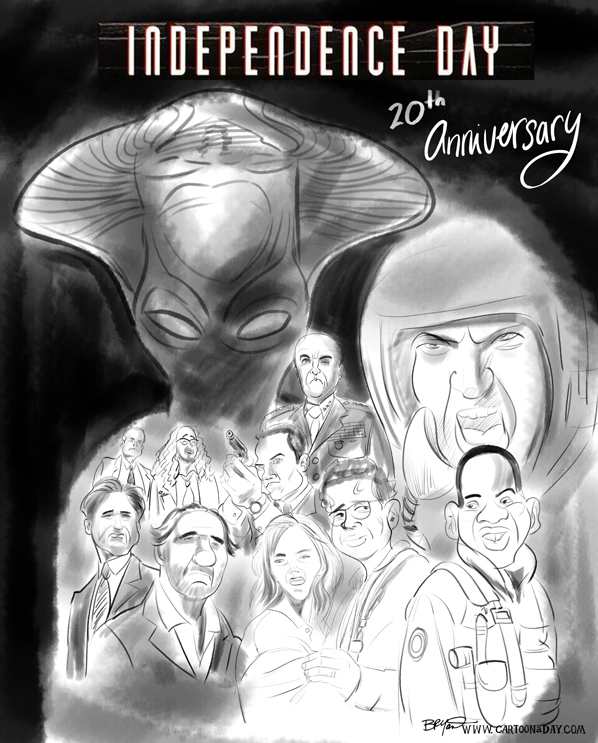 Blockbuster Independence Day came out 20 years ago, and in tribute of that even I’ve doodled a rough draft of a possible movie montage of thew cast as caricatures. Its sequel is due out this summer with some of the original cast returning. A few of the main players in this cast are Will Smith, Bill Pullman, Jeff Goldblum, Judd Hirsh, Margaret Colin, Randy Quaid, Brent Spiner, Adam Baldwin, Robert Loggia and James Rebhorn. 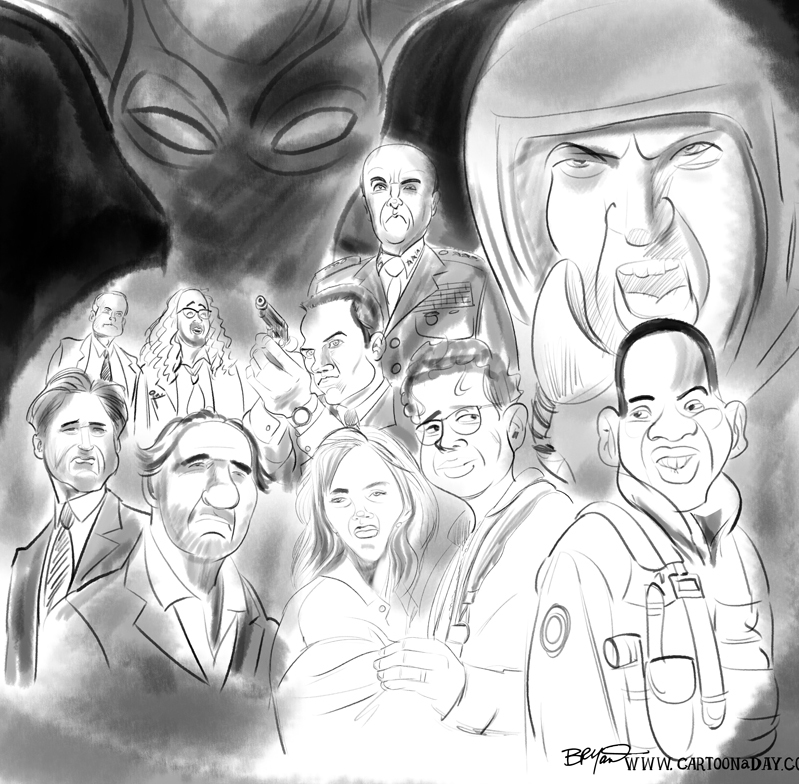 Of course there are others like Vivica Fox and Harry Connic Jr, who I’ll try to fit in as the sketch progresses.